President of Brazil Jair Bolsonaro arrived in Washington on Sunday, and on Monday he had a meeting at the CIA in Langley, Virginia. This is considered a highly unusual move, for a Brazilian president to meet with the CIA on his first trip to the U.S., but it points to Bolsonaro’s affinity with President Trump and his foreign policy team’s agenda for the hemisphere. On to talk about all of this with me today is Alex Main, director of international policy at the Center for Economic and Policy Research in Washington, D.C. Alex, good to have you with us. ALEX MAIN: Good to be here, Sharmini. 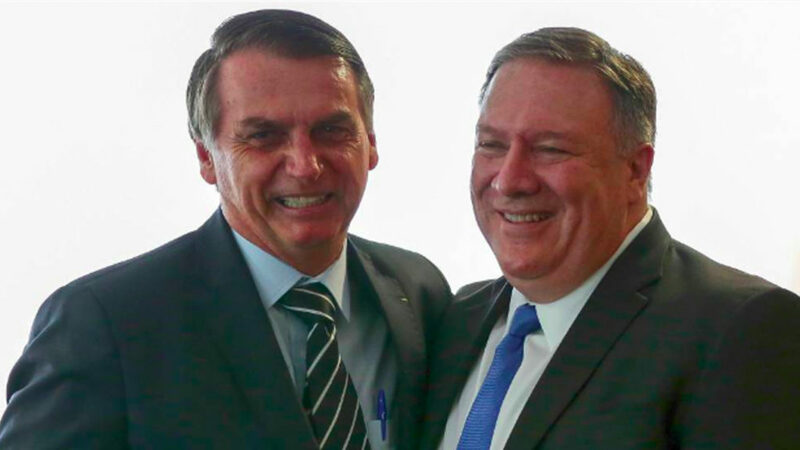 SHARMINI PERIES: All right, Alex, let’s just chew off what’s on the agenda, what’s the purpose of this visit to the U.S. on the part of Jair Bolsonaro? ALEX MAIN: Well, first of all, it’s highly unusual for a president of any country to visit the CIA. And it’s the first time that a Brazilian president, at least the first time in recent history, that a Brazilian president chooses to first visit the United States for his first bilateral meetings with a foreign government. You know, generally Brazilian presidents, when they’re inaugurated, they’ll first go visit neighboring countries. They’ll start with Argentina, for instance. But this really points to the extent to which Bolsonaro really wants to prioritize the relationship with the Trump administration, and he’s made that very clear from the beginning. It’s a very radical departure from traditional Brazilian foreign policy, and in particular the foreign policy of the Workers Party governments that were in place from 2002 to 2016. And you know, I think it really shows that Brazil is going to have a very new focus going forward. 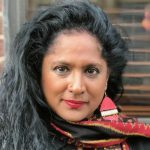 SHARMINI PERIES: All right, Alex, so what is on the agenda? Obviously Venezuela, given the recent conflict between Brazil and Venezuela on the border, and also with Colombia. But regional hemispheric issues is something that’s been highlighted in terms of this trip. ALEX MAIN: Well, yes. I mean, I think the absolute priority for the Trump administration is Venezuela. That’s what’s highest up on the agenda for, of course, the past year or so. Regime change in Venezuela has been the utmost priority for the Trump administration in the region. And this has intensified since January 23, when the U.S. recognized the self-proclaimed interim president Juan Guaido, and then pushed, essentially, for a military coup to take place. They’re trying to ramp up the pressure on the Maduro government through every means possible, excepting for now military intervention. So the U.S. has increased, of course, economic sanctions on Venezuela. They’d like to see other countries, big trading partners like Brazil, do the same thing. And they’d like more cooperation from Brazil in containing Venezuela. And they’re likely to get commitments to that from Jair Bolsonaro, in part because he seems to be very pliant when it comes to the Trump administration and its wishes, and also because he himself has a very, sort of, anti-left agenda both within Brazil and externally. So we can expect Venezuela to be high up on the agenda from the Brazilian and from Bolsonaro’s end. I think he wants to remake his image a little bit. Glenn Greenwald had a good piece on this in the Intercept about how the links between Bolsonaro and his family to militias, some of the worst militias in Brazil, and those most likely responsible for the assassination of Marielle Franco. They are becoming more and more apparent, these links between the Bolsonaro family and these militias and Bolsonaro himself. It’s going to be an increasingly big scandal. Bolsonaro needs to find a way to step away from that, as well as from his very poor, weak performance in other venues, particularly his other big foreign trip up to now, which was to Davos, the World Economic Forum, where he made an embarrassment of himself. Very, very weak speech. Everyone was expecting him to put on the best possible performance. And it was an absolute embarrassment for Brazil. So I think he’s hoping that by cuddling up to the Trump administration he’s going to get payback in the form of a lot of support, recognition, and praise from the Trump administration I think he dearly needs domestically, at this point. SHARMINI PERIES: All right, Alex, let’s dig into this trip to the CIA a bit more. Now, I understand he was accompanied by Sergio Moro, who is now the justice minister. But previously we knew him as the judge who prosecuted Lula da Silva and made sure he was behind bars so he couldn’t compete as a presidential candidate in the last election where Bolsonaro won. ALEX MAIN: Well, that’s right. I think Sergio Moro, who’s now, as you said, the justice minister, and was previously the judge who put Lula in jail, is I think probably the single person most responsible for Bolsonaro being president today. And of course he’s been handsomely rewarded with this, you know, justice ministry position. And he is now serving the interests of the Bolsonaro administration. Certainly internally he’s supporting a so-called anticrime bill that appears to be extending greater impunity to Brazil’s police forces, and particularly around their extrajudicial killings. It is interesting that it’s him and Bolsonaro that are visiting the CIA today because there have been very tight relations between Moro and the U.S., the U.S. government. He was a State Department fellow at one point, someone who traveled to Washington a lot, and was a key actor in the cooperation between the Department of Justice in the U.S. and the judiciary in Brazil around things like the so-called carwash anti-corruption investigation, and series of trials, which, of course, Lula was one of the primary victims. So he is somebody who’s already to a certain extent very, very tight with the U.S. government. And I think the fact that they’re both, Bolsonaro and Moro, are now–you know, have now visited the CIA, this is symbolically, I think, a sign that they are of the utmost confidence of the U.S. government; certainly of the Trump administration. SHARMINI PERIES: All right, Alex, let’s dig a little bit more into the military cooperation between Brazil and the U.S., of course, military, where is on the agenda in terms of purchasing and trade and so forth. But there’s something much greater on the agenda, which is a potential relationship involving NATO for Brazil. Tell us more about that, and what significance this has as far as the hemisphere is concerned. ALEX MAIN: Well, sure. Brazil has been vying now to be a sort of privileged non-NATO member, for a while now; to acquire a special status that wouldn’t make it part of NATO, as is the case of Colombia today, Colombia being the one Latin America country that is now a member of NATO, but giving it a privileged status that would afterwards allow it to purchase particularly sensitive military material, primarily from the United States, and also give it just a lot more access. There’d be a lot more cooperation between the military of the U.S. and the military of Brazil. Very high level cooperation that would lead to more joint exercises and the like. And I think that’s probably something that the U.S. does favor at this point. So I think it’s likely that we’re going to see that happen, particularly as they’re hoping for the Brazilian military’s help in regional affairs, and particularly at this moment with Venezuela. I think the current administration, or certainly the team that’s guiding Venezuela policy, John Bolton, Elliott Abrams, and so on, would be interested in really seeing the Brazilian military intervene in Venezuela. And certainly they’d be interested in seeing the Brazilian military try to work with Venezuelan military to persuade them to rebel against the Maduro government, which has of course been the aim of the Trump administration for some time now. So I think there’s certainly a big priority there. There’s also under discussion a nuclear cooperation agreement that would involve the U.S. helping Brazil develop their nuclear sector more and opening up uranium mining in Brazil, which is currently a state monopoly. It could be opened up in the future to U.S. companies, which is something that the U.S. government, certainly the Trump administration, is very interested at this time. SHARMINI PERIES: And Bolsonaro actually ran on the platform that he would open up the Amazon, putting it at great risk in terms of environmental issues, not only for Brazil but for the world over. ALEX MAIN: Absolutely. So that’s, I think, something that’s also pleasing to the Trump administration, along with the fact that Bolsonaro has talked about leaving the Paris climate agreement. But the fact that Bolsonaro wants to open up these protected territories in the Amazon to sort of allow mining companies, agribusiness and so on, to move into those territories without the prior consultation of Indigenous groups, as has been the case up to now, I think that’s something obviously that a lot of U.S. corporations, mining interests, energy interests are very interested in, indeed. And that’s something also that the Trump administration, I think, sees very favorably. SHARMINI PERIES: All right. And finally, Alex, the relationship with Brazil in this regard in terms of the military cooperation makes Venezuela rather vulnerable, particularly if you add the border with Colombia, now the border with Brazil, into the configuration. How vulnerable is Venezuela with this visit to Washington? ALEX MAIN: Well, it’ll be interesting to see what Bolsonaro promises Trump, if, in fact, those promises are made public. But whether he will, in fact, promise Trump what I think Trump will ask for, which is more military cooperation with regard to Venezuela, it’ll be interesting, because actually the Brazilian military to date has actually sort of stood up to Bolsonaro on these issues. And of course the vice president of the country is a conservative general. Vice President Mourao has contradicted Bolsonaro on a number of occasions, including when Bolsonaro offered the U.S. a military base in Brazil. This is something that the vice president, and you know, I think the military as a whole, rejects. They remain fairly nationalistic. And I think they’re very wary of getting involved in Venezuela. There’s no real interest there for Brazil to do that. And I think there’s certainly no real motivation for the military to get involved there. So I think, you know, if Bolsonaro commits to doing anything on the military front with Venezuela, I think we can expect some resistance from the Brazilian military. And it’s sort of the saving grace, the fact that the military still has a great deal of influence over the current administration in Brazil. SHARMINI PERIES: All right, let’s hope so. Alex, let’s leave it there for now, and we look forward to having you back; perhaps after the end of this meeting between Bolsonaro and Trump. I thank you so much for joining us today.